46 Commercial Real Estate and Properties in Melbourne Western Suburbs are listed in 8 categories. We have 72 Industrial Warehouses for Sale , 35 Development Lands for Sale , 11 Retail Shops for Sale , 5 Offices for Sale , 5 Medical and Consulting Properties for Sale and 1 Showrooms for Sale . Investment Feast In St Albans Main Road Retail! Exciting Office Suite In A Fast Growing Area Office suite in business ..
INVESTMENT OPPORTUNITY 3 Year year commenced 15/9/2018 to JLS Fleet Maintenenca PTY LTD Property Description Office of 124m2 Warehouse 546m2 Total area 670m2 First class office fit out Modern staff amenities Cyclone security fencing Electric container height roller door Clear span high clearance warehouse 9 On site car parks 3 phase power available Contact Helen Lipman on 0477 006 134 for an inspection today! Office of 109m2 Warehouses of 155m2 Total area of 264m2 Modern staff amenities Container height electric roller doors High clearance clearspan warehouses On site car parking Minutes to the Deer Park Bypass with easy connection to all the major arterials. 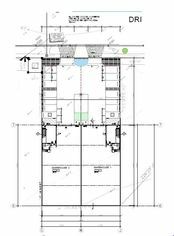 Contact Helen Lipman on 0477 006 134 for a copy of the plans today! Total Area 464m2 Modern staff amenities Container height electric roller door High clearance clearspan warehouse On site car parking Security fencing Minutes to the Deer Park Bypass with easy connections to all the major arterials. Contact Helen Lipman on 0477 006 134 to arrange an inspection today! Offices from 118m2 Warehouses from 238m2 Total areas from 356m2 Modern staff amenities High clearance clearspan warehouses Container height electric roller doors Security fencing Minutes to the Deer Park Bypass with easy connection to all the major arterials. Units Available: Unit 1 Total area 356m2 Sale Price $620,000 Unit 2 Total area 366m2 Sale Price $630,000 Unit 3 Total area 406m2 Sale Price $670,000 Unit 4 Total area 410m2 Sale Price $678,000 Unit 5 Total Area 498m2 Sale Price $825,000 Contact Helen Lipman on 0477 006 134 to arrange an inspection today! Warehouse area 131m2 Allocated onsite carparking Ideal for tradies, retail, small businesses or storage Only minutes from The Deer Park Bypass 3 phase power available Container height roller door Call Helen Lipman on 0477 006 134 to arrange an inspection today! Office area 132m2 Warehouse area 234m2 Total Area 366m2 Container height electric roller door High clearance, clearspan warehouse Security fencing Modern staff amenities Close to the Deer Park bypass, with easy connection to all the major arterials Contact Andrew Shields on 0408 443 202 to arrange an inspection today! Office area 132m2 Warehouse area 234m2 Total Area 366m2 Container height electric roller doors High clearance, clearspan warehouse Security fencing Modern staff amenities Close to the Deer Park by pass, with easy connection to all the major arterials Contact Andrew Shields on 0408 443 202 to arrange an inspection today! Office of 71m2 with Mezzanine Warehouse 347m2 Total area 418m2 Brand new staff amenities Container height roller door with easy access High clearance clearspan warehouse 6 On site Carparks Security fencing Minutes to the Deer Park Bypass An additional 50m2 Mezzanine at the back of the warehouse. Call Andrew Shields on 0408 443 202 to arrange an inspection today! Office of 118m2 Warehouse of 238m2 Total area 356m2 Modern staff amenities High clearance clearspan warehouse Container height electric roller door Security fencing Minutes to the Deer Park Bypass with easy connection to all the major arterials. Contact Andrew Shields on 0408 443 202 to arrange an inspection today! Total area 146m2 Modern staff amenities Container height electric roller door High clearance clearspan warehouse On site car parking Minutes to the Deer Park Bypass with easy connection to all the major arterials. Contact Helen Lipman on 0477 006 134 to arrange an inspection today! Total area 228m2 Modern staff amenities Container height electric roller door High clearance clearspan warehouse On site car parking Minutes to the Deer Park Bypass with easy connection to all the major arterials. Contact Helen Lipman on 0477 006 134 to arrange an inspection today! Total Area 427m2 Modern staff amenities Container height electric roller door High clearance clearspan warehouse On site car parking available Located in the prestigious paramount estate. Minutes to Coles, Nandos, McDonalds, Subway and the Deer Park Bypass allowing easy connection to all the major arterials Contact Helen Lipman on 0477 006 134 to arrange an inspection today! 3 YEARS COMMENCED ON THE 15/6/2018 COMMENCING RENT $58,710 3% INCREASES ANNUALLY Office 60m2 warehouse 680m2 Total area 740m2 Modern staff amenities Container height electric roller door 200m2 Hardstand (approximately) High Clearance clearspan warehouse Main road exposure to Westwood Drive Minutes to the Deer Park Bypass with easy connection to all the major arterials. Contact Helen Lipman on 0477 006 134 for an inspection today! Rental and fitout incentives available! Office area 222m2 Warehouse Area 1653m2 Total area 1875m2 Container height electric roller door 10m High clearance clear span warehouse Modern staff amenities Brand new quality fittings and fixtures Corner location with high exposure On site cafe Zoning industrial 3 Rear yard and car parking Minutes to the Deer Park Bypass or the Princes Freeway Call Helen Lipman on 0477 006 134 to arrange an inspection today! Total Area 388m2 Modern staff amenities Container height electric roller door High clearance clearspan warehouse On site car parking Minutes to the Deer Park Bypass with easy connection to all the major arterials Contact Helen Lipman on 0477 006 134 to arrange an inspection today! Office of 50m2 Warehouse of 233m2 Total Area 283m2 Modern staff amenities Container height electric roller door High clearance clearspan warehouse Ample on site car parking Easy Truck access Minutes to the Deer Park Bypass and Western Ring road with easy connections to all the major arterials Call Andrew Shields on 0408 443 202 to arrange an inspection today! Corner of Alfrieda and Linda Streets measuring some 590m2 approx. Superbly located only metres away from Central St Albans's major transport hub, retail hub and all other services and amenities. An outstanding opportunity to secure a superb site with income Currently used by Heartscope on a monthly tenancy, as a medical facility it comprises of 5 treatment rooms, reception area, kitchen, central bathroom, separate toilet and laundry facilities. Multi vehicle parking + Double Garage; Intercom, cooling and heating system plus much more. An opportunity like this comes once in a lifetime in this prime St Albans location, invest, develop or occupy (STCA) or all three. 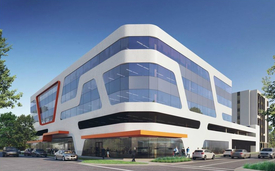 Office of 41m2 Warehouse of 200m2 Total area 241m2 Modern Staff amenities Container height electric roller shutter door High clearance clearspan warehouse On site car parking available Minutes to the Deer Park Bypass and Princess Freeway with easy connection to all the major arterials. Contact Helen Lipman on 0477 006 134 to arrange an inspection today!